Click on image or underlined code for Nutrition Facts. Our ORIGINAL home style roll made with care, hand scored and flour dusted. Extremely versatile as table bread or sliders. A real winner! The same care is taken in making this wheat version of the ORIGINAL. This new variation combines a butter and egg dough into a unique and appealing roll suitable for table bread or sliders. Our own brioche recipe in a pull-apart with the added aroma and flavors of onion and poppy seed. A true classic, made from a long fermented dough resulting in a thin crust and moist interior. A roll your guests are sure to remember. has such a multitude of uses. 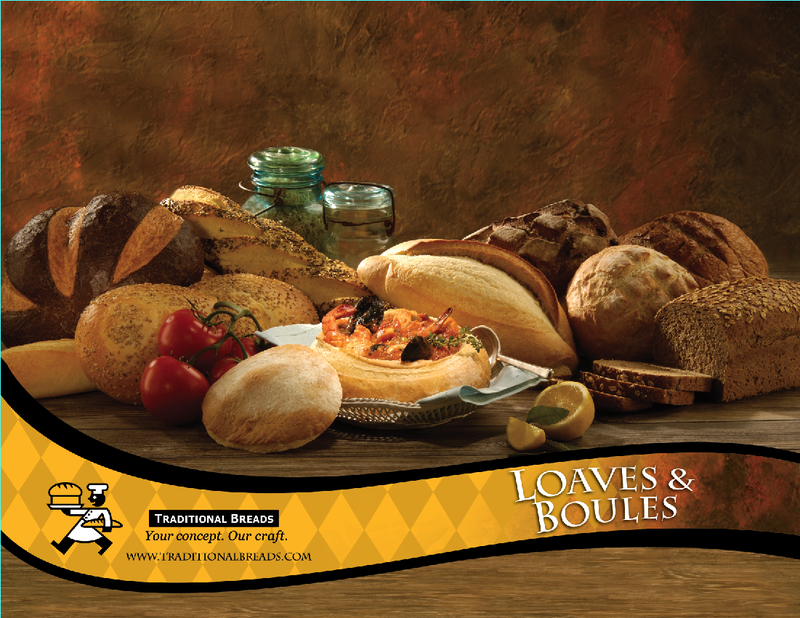 Our French dinner roll with a crispy crust and a delicate interior, is a tasty addition to your meal. Perfect in a bread-basket. This traditional breadstick is hand scored and adds a twist to any bread basket. Use for soups, salads and children’s menus. outside and moist on the inside.